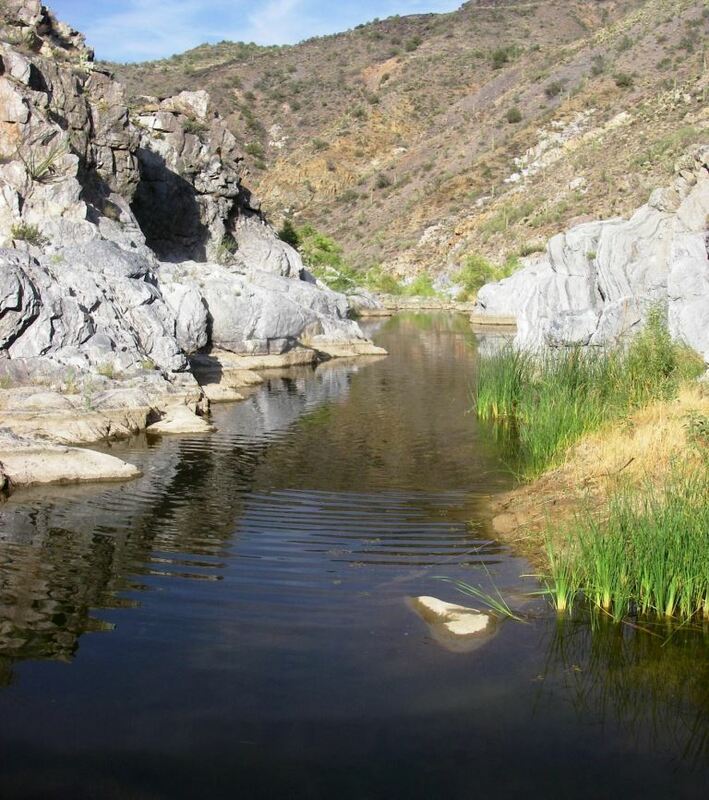 Boulder Creek is a tributary to Burro Creek in the Bill Williams River watershed. Roundtail Chub and Desert Suckers were stocked into upper Boulder Creek in 2012. 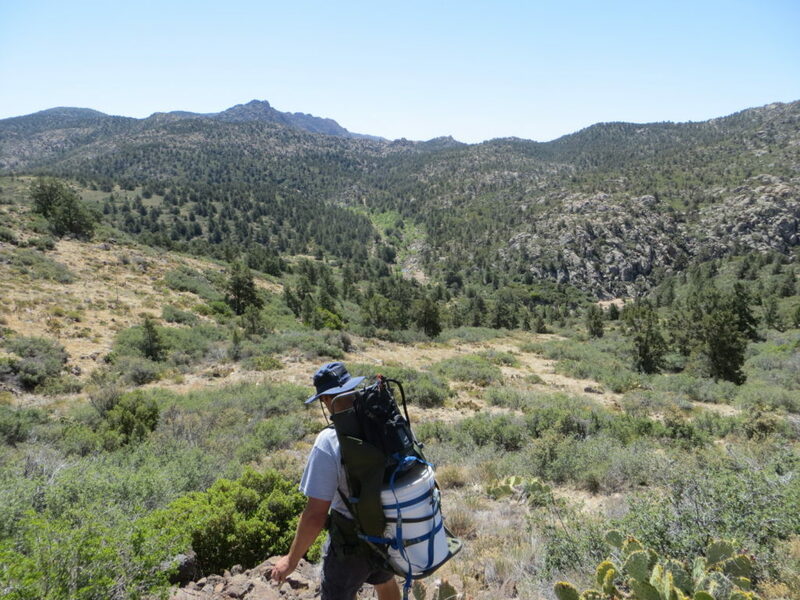 In 2013, upper Boulder Creek, a tributary to Burro Creek in the Bill Williams River watershed, was dominated by nonnative Fathead Minnows and crayfish, with no native fish present in the upper seven mile section of the creek. Roundtail Chub and Desert Suckers are present in Boulder Creek below a natural barrier and dry stretch which delineates the upper reach from downstream. Because the habitat in upper Boulder Creek was suitable for chub and suckers, the Department stocked 169 Roundtail Chub and 28 Desert Suckers into seven pools in upper Boulder Creek in 2013. 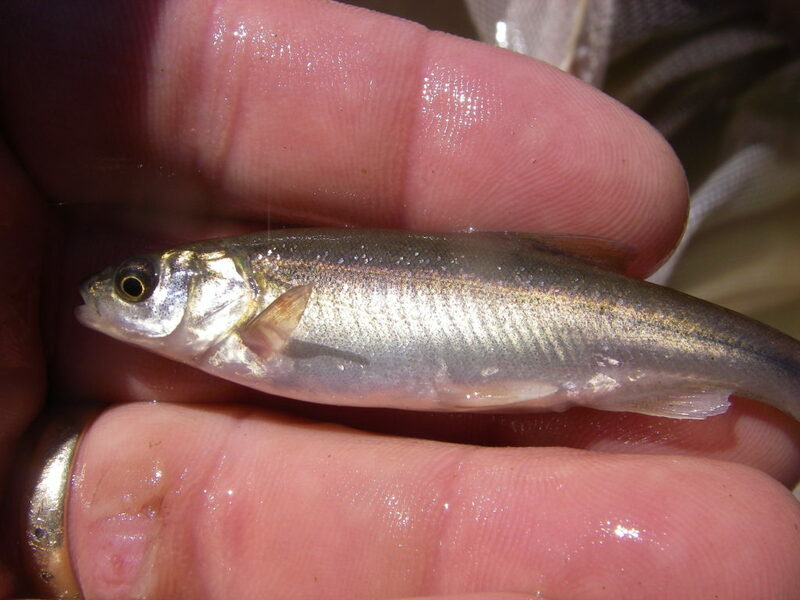 Monitoring since 2013 has documented the persistence and recruitment of chub within the original stocking pools, but suckers have not been captured or observed. In October 2017, the Department completed another survey and Roundtail Chub ranging in size from 1-12 inches were collected in four pools that were originally stocked, and in two pools beyond the stocked area. Crayfish continue to be the dominant species, but Fathead Minnows were only observed in one pool and none were collected. This project has expanded the range of chub by several miles in upper Boulder Creek and is part of the Department’s Conservation and Mitigation Program (CAMP) that contributes to the conservation of native fishes through improving their status through securing and establishment actions. When chub and suckers were stocked in upper Boulder Creek in 2012, they were transported to the creek in 5-gallon buckets carried in a pack. A juvenile Roundtail Chub captured in upper Boulder Creek in October 2017.